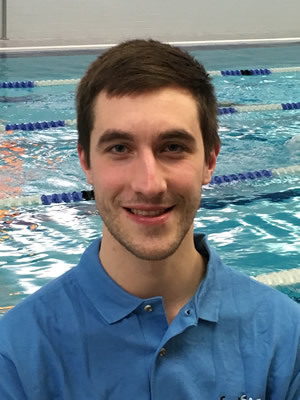 In addition to working as a full time swim coach for FastFins®, Luís is also the assistant swim coach for the Imperial College SC and also the College's triathlon club. Luís has a BSc in Sports Science from one of the best sports universities in Portugal. Swimming has always been Luís' passion, which is why he specialized in this sport during his academic studies with a particular focus on biomechanics and physiology and team versus individual sports. Luís also spent a year working as Assistant Coach (Junior/Senior) at FC Porto and experienced at first hand the fruits of his labour when many personal bests and national records were set by his swimmers at the European Aquatics Championships, as well as other international competitions. Luís loves the challenge of teaching. For him, every moment is one of pure enjoyment, especially when he sees that his expertise helps his students progress towards achieving their goals.